When you’re blogging, you want to post as consistently as possible. If you’re on a three-days each week schedule, then you want to post on the same days each week. If you’re posting once-per-week, you really want to try to publish a post each day. Notice I said ‘post each day’ not write each day. Of course you can write a post each day, if your life allows. But how do you take a weekend off? How do you go away for short spurts of vacation? What about getting bogged down with work and not having the time to blog? Leave it to the developers of WordPress to have a solution for you: Post Timestamp. 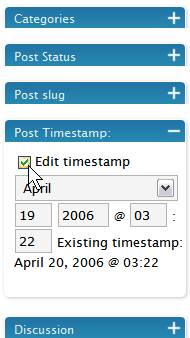 Straightaway, Post Timestamp sets the date and time of each of your posts. It’s located in the Post Editor (under Write or Manage > Write Post) in the right column. Just look for the words Post Timestamp. By default WordPress automatically writes a time and date on each of your posts when you publish them. 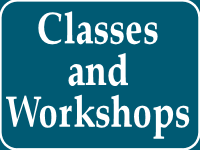 But like with many things WordPress, there’s more. If you look closely at the Post Timestamp option window, you’ll see an ‘Edit Timestamp’ checkbox. If you select the checkbox, you can then change the publishing date and time on any of your posts. The date and time you enter will be the date and time that WordPress publishes your post. Now, when you know you’re going to be away or busy, you can write posts beforehand and post date them using Post Timestamp. That’s it. Remember to place a check in the ‘Edit Timestamp’ box. If you don’t, the date and time will not change. Remember to publish the post. Just saving your post will leave it as a draft. Publishing it will place it in a ‘queue’ to be published. 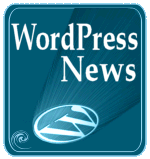 When the time comes, WordPress will automatically publish your post. You can select any date or time you wish – as close or far off in the future as you like. Sometimes I use Post Timestamp when I want to publish multiple posts in one day. I’ll stagger when they’re published by using the Timestamp. Hi, I’m Dawud Miracle. Professionally, I’m a blog and marketing consultant, business coach, educator and web developer who helps people use their websites to grow their business. I’m also a devoted husband and father to two, soon to be three, children. Please let me know if I can help you in any way. 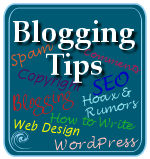 This entry was written by Dawud Miracle and posted on September 4, 2007 at 6:13 am and filed under WordPress, WordPress Tips with tags how to use wordpress, wordpress, wordpress help, WordPress Tips, wordpress tutorials. Bookmark the permalink. Follow any comments here with the RSS feed for this post. Post a comment or leave a trackback: Trackback URL. I use this all the time. I publish weeks, sometimes months in advance and the time stamp is always a little bit past midnight. One note on future publishing, unlike a saved draft which saves your updates automatically as you write, a published future post doesn’t save the changes as you write. So, if you are making major changes, hit the save button as you go. This is possibly my favorite thing about WordPress. I use it mostly for my radio blog so that I can have a show’s page appear a few minutes before the show starts. Using this feature to post during vacations / off-periods is a good idea. I have used it to time my posts to certain events / days. I use this all the time too, and it’s one of the main reasons I use WordPress. 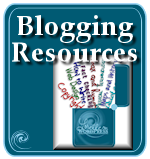 I’ve started blogs on Blogger, and once I get them into my blogging routine I switch to WordPress. Being able to post ahead of time is great! I use this feature all the time – my posts go up three times a week a 10:00am. While I’ve found some adequate blogging clients for Windows and OSX, I’ve yet to find one for Ubuntu that lets me set the timestamp right in the client, which has been a major disappointment during my migration to Ubuntu. I’ve used this feature since the very beginning. I travel so much and work long hours, so my blog keeps on working when I’m off doing somethign else. Unfortunately, in the early days of WordPress.com, there were a lot of problems with the future posts feature. Screams were heard all the way to Ireland when six weeks of posts written to cover a cross-country road trip were all released in one day by mistake. There were tons of screwups as the post URLs had future dates, so they didn’t show when some people visited them, though they were in the feeds, and…oh, trust me. A lot of screaming. Now, it’s all fixed, thank goodness! 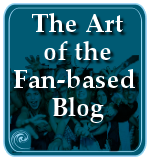 Without the future posts feature, I doubt I would blog as often on this blog. It would just consume too much time. I like having it work for me. I’ve been using this to back-date posts, but hadn’t thought of future-dating them. I will definitely keep that in mind, especially now that I’m trying to incorporate some “of the week” type features. Very handy indeed. Last month, as kind of a special thing on my blog, I did a “Month of Reviews” where I challenged myself to review 35 different things, one each day, from July 30th-September 2nd. However, I took advantage of the post timestamp so that these reviews would be already ready to post even after school started, and even while I was away in Los Angeles for a weekend! Thanks to this feature, I was able to post a review on time, every day, even though I had started writing them a few weeks in advance. By the way, this feature also works backwards. If, for some reason, you want to make a post that you already published be listed higher than the one you are about to publish, you can change the post timestamp of the one you’re about to write “back in time”, and WordPress will switch the order of your posts so that they are shown chronologically! It’s great for if there’s a certain post that you want to have more emphasis on for the time being. This feature I have heard about but never had it explained to me in a why that I can actually use and understand. Thank you! I think it’s a vital tool because you never have to say “I’m going to be away for a couple of weeks.” That’s like putting “there’s nobody at home right now” on your answering machine. Not a good idea. Who knows who’s reading, whether they know where you live, etc? The Timestamp feature is something I use quite often on my website either to keep the news flow up or when I schedule an announcement. I have used this feature with varying degrees of success on my own domain. For example, a post scheduled for this morning still has not published. The time has come and gone. The timestamp and the time on my blog is correct. I even changed the timestamp to a point 5 minutes in the future and waited. The time came and went with no publishing. I will have to publish this one manually. It is not a feature I would be comfortable relying on, though. 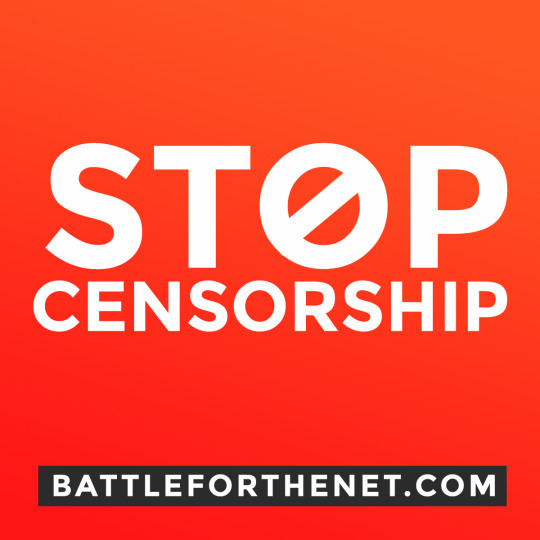 There are several threads on this at the WP support forums, but the reasons given and possible solutions for the problem are too complicated for the average user to understand. In previous versions of WordPress, I believe before 2.1 or 2.2, there were problems with the timestamp (future post) feature, in the programming code as well as with conflicts with WordPress Plugins. This has all been fixed and I’ve not had a problem with this for ages. I use it almost exclusively, and am totally dependent upon it, so I have a huge fit when it doesn’t work. I recommend you upgrade your WordPress version, though you didn’t mention what it is. And if you are having trouble, please get help in the WordPress Support Forum to fix this on your blog. However, today, I saw something odd happen. The post scheduled for this coming Wednesday appeared today Monday. It’s dated Wednesday, the post timestamp box says this Wednesday, but it still shows up to me and to everyone else. Something obviously went awry, but what I don’t know. Any clues? I’ve had problems with conflicts with WordPress Plugins. Did you add something recently? And make sure to upgrade your version of WordPress. There were a couple versions that had glitches in the future post feature. Other than that, you are going to have to do some digging into possible causes before I or anyone on the WordPress Support Forum could help you. Make sure the post is marked as Published, not Draft or anything else. And triple check the date. I’ve had problems before, usually traced to Plugins, and I got the page off the site by copying it, deleting it, and reposting it with a new date and time. The hard way, but worth a test to see if something messed up in the database with that specific post. Stupid question, but if I want my post to go live at 2pm, do I enter 2:00 in the time box or 14:00? Do you need to use military time? How does it know the difference between 2am and pm? Yes! Finally a simple to understand instruction tutorial on how to post date my posts! I recently moved to WordPress and couldn’t figure out how to do have posts publish automatically. Thank you so much! good point. but what i don’t link about it is that my post does not show the actual date in my country (philippines) coz wordpress uses US time by default, right? it’s always 1 day behind. is there a way for me to change it? thanks! On your WordPress Administration Panels, go to Options > General and scroll down to Date and Time. You have to know how many hours you are off from GMT time, but WordPress helps by telling you the time and date under “output” of what it should be. Compare that with your computer’s clock (if that is correct) and adjust the hours from GMT plus or minus accordingly and save the changes. When the page reloads, the output time should show you your correct time. If not, keep adjusting it. It doesn’t account for daylight savings time, so you have to manually change it in accordance with those rules for your time zone. I use Timestamps all the time too! I am going on an extended break and wondered if there was a way of say uploading 50 or 60 posts with the dates already configured. I have seen FeedWordpress and the like but they all seem to just dump it all in one go and date it at the time you added the feed as opposed to staggering it it how I want it. NEVER use Feed WordPress? The use of such a Plugin is usually for nefarious reasons, which sounds like you want to do with the “uploading of 50 or 60 posts”. I cannot help you there. However, I will often write 20 or more ORIGINAL articles within a few days in a text editor and then paste them in one by one, setting the date manually each time, to release on a timely basis. Other than uploading images, which should be improved in WordPress 2.5, it doesn’t take very long and then I’m free from my blog other than checking comments. Thanks for posting this. Today I was thinking if I could do this with timestamp but I didn’t know for sure. So I googled it and came upon your site(which I’ve been on quite a bit) and you had the answer to my question. Thanks again for posting this. Jason’s question is a good one. There’s nothing nefarious about it. I use a blog so players can opt in to a daily soccer game with comments. So I use title-only posts with the date as the title. I do this manually every week, with the future-dating feature. I would like to do it for the whole month or year by uploading a text file with post title and publication date/time. So how can I upload posts with the timestamp varying. What I would like to be able to do is get a plugin where I someone can view the scheduled post before it is scheduled to be posted it. If you are logged in you can view it by just putting the URL in the browser that you are logged into the WP admin. Any one know if this can be done. Some times I want to show people my posts that have still scheduled in the future. Thank you! This is a great explanation. I had been wondering about this and now I realize it is right there in the admin panel when I post. Best WordPress plugin to date. Love it. Thanks Lorelle! I was searching for this plugin for a long time now. Today, i thought that – i should try gooogling for that – and thus i entered the query “wp plugin post tomorrow” – so i came to this post- and now i am really happy with it. Thanks a lot for this valuable post. You understand that this isn’t a Plugin? It is a normal function of WordPress. I’m using WordPress for a download site only. Have the next download up on Feb 01 and down on Feb 30. etc. Cycle this for 12 months and start over. 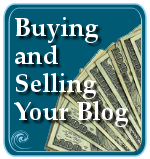 For your blog posts? I’m not sure I understand. You want to change the post date for a file download? If we are talking about blog posts, simply remove the date from your post meta data section in your WordPress Theme and then manually add whatever date you want. As for cycling, Im sure someone in the WordPress Support Forums or a hired developer could come up with a script that would do that for you. I will setup a page for each download that I want to activate for each month. Turn that month on and turn it off for the next one. all I see is how to delay exposing the info, no way to turn it “off” without deleting it. To have someone write the script is a good idea. thanks. I’m always shocked that you’re somehow capable to write such great content almost every day. Sure is a ton of stuff to take into consideration. What a highly descriptive and well written article. I have been surfing on-line for more than 5 hours today.